High Dose of VX Nerve Agent Killed Kim Jong Nam Within 20 Minutes. The dose of nerve agent given to North Korean ruler Kim Jong Un’s half-brother was so high that it killed him within 20 minutes and caused “very serious paralysis”, Malaysia’s health minister has said. Kim Jong Nam died on February 13 at Kuala Lumpur’s airport in what Malaysian police say was a well-planned hit by two women who wiped a liquid on his face. Police revealed on Friday that the banned chemical weapon VX nerve agent was used to kill Mr Kim, raising the stakes in the case. Health Minister Subramaniam Sathasivam said the dose was so high that he showed symptoms within minutes. Mr Kim fainted at the airport clinic and died in an ambulance en route to hospital, he said. “VX only requires 10 milligrams to be absorbed into the system to be lethal, so I presume that the amount of dose that went in is more than that,” he said. Malaysia has not directly accused the North Korean government of being behind the attack, but officials have said four North Korean men provided two women with poison to carry it out. The four men fled Malaysia on the same day as the killing, while the women – one from Indonesia and the other Vietnamese – were arrested. Experts say the nerve agent used to kill Mr Kim was almost certainly produced in a sophisticated state weapons laboratory and is banned under an international treaty. But North Korea has never signed the treaty and spent decades developing a complex chemical weapons programme. 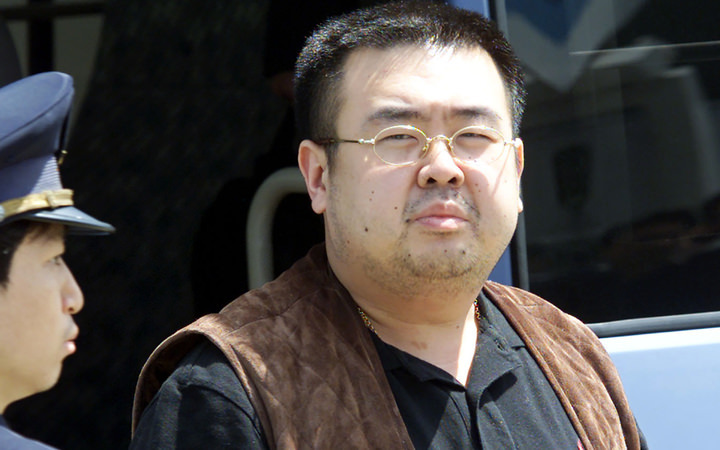 Mr Kim was not an obvious political threat to his estranged half-brother, Kim Jong Un. But he may have been seen as a potential rival in North Korea’s dynastic dictatorship, even though he had lived in exile for years. Earlier, Mr Subramaniam said the state chemistry department’s finding of the VX toxin confirmed the hospital’s post-mortem examination result. That suggested a “chemical agent caused very serious paralysis” that led to death “in a very short period of time”, he said. The VX agent can lead to death very quickly in high doses, he added. Early on Sunday, more than a dozen officers in protective gear swept the budget terminal where Mr Kim was attacked and said they found no traces of VX. He also said a condominium on the outskirts of Kuala Lumpur that was raided by police last week had been rented by the four North Korean suspects who left the country. He said police were still testing a seized substance for traces of any chemicals. Abdul Samah said the Indonesian woman who was arrested, Siti Aisyah, vomited in a taxi on the way from the airport after the attack but is well now. He said that more tests were needed to determine if the two arrested suspects were given antidotes so the nerve agent would not kill them. On Saturday, representatives from the Indonesian and Vietnamese embassies met the two arrested women, who both said they thought they were part of a prank show.